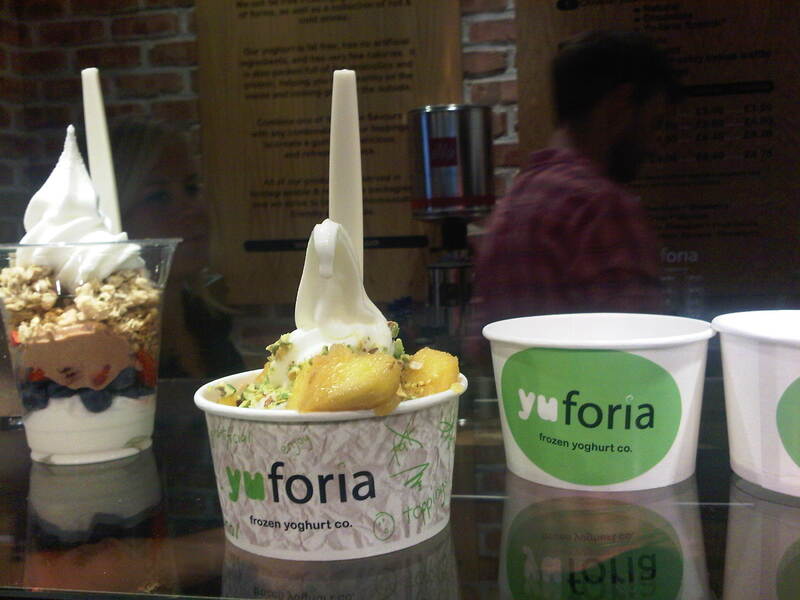 Same frozen yoghurt, different place. Yu-Foria's recently opened their second location at 38 Beak Street in Soho (W1F 9RG). Compared to the original Yu-Foria at Covent Garden (of which we yummily approve), this new joint is a lot more inviting with its living wall and natural light. As for the actual fro-yo on offer, it's tasty and refreshing (especially on a muggy eve like last night when Londonist paid a visit). As with our sampling at the Covent Garden spot, we remain content enjoying a cup of the 100% fat free plain flavour with some pistachios sprinkled on top, but there are plenty more toppings and combos available. And come wintertime there still will be reason to visit: they do waffles.